How To Choose The Right Product? See Flipazoo Reviews And Why Go For Flipazoo? 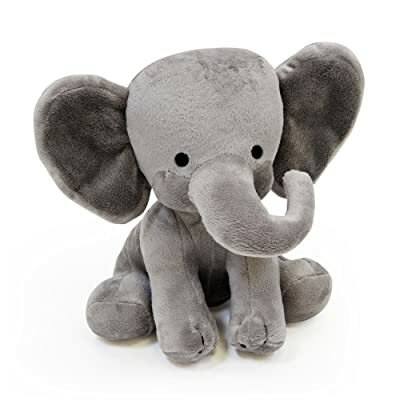 →Flipazoo Reviews: Is This The Best Stuffed Animal For Your Child? 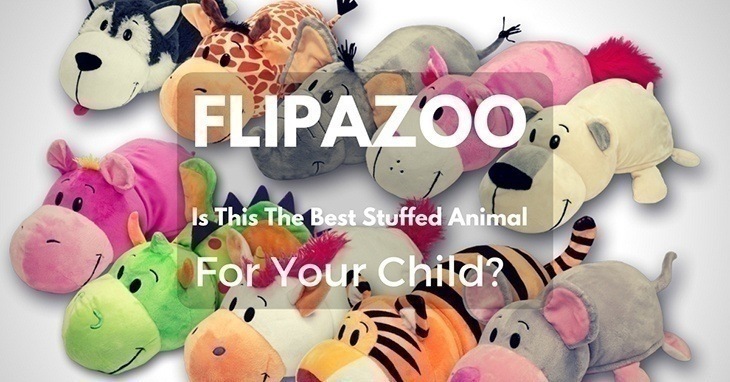 Flipazoo Reviews: Is This The Best Stuffed Animal For Your Child? I’ve always been frugal where playthings are concerned. I’m not one to spend hundreds of dollars on something that my child will eventually grow out of or get bored easily. I understand if you’re hesitant on buying expensive toys. So read on because this is not one of those Flipazoo reviews that will only tell you to buy them. Instead, we’ll look whether they’re worth the price. 1. Consider the durability. I still have some of my stuffed toys with me, to be honest. Although to be fair, it’s not always just a matter of taking good care of it. Another factor is the process of creation. Some cheap ones may last only after a few rough handles (something to expect from toddlers). Always go for that which offers longevity. 2. Consider how your child might treat it. Always have the foresight to at least guess or assume how it’s going to affect your little one. For example, if you think your kid will likely bring it with him when he takes a bath, choose that which is washable. It’s advertised as ‘the toy that flips for you’ and means just that. There are three sizes: 8”, 16” and 24”. For every purchase, you’ll get a free Flipzee which is just a small pocket version. 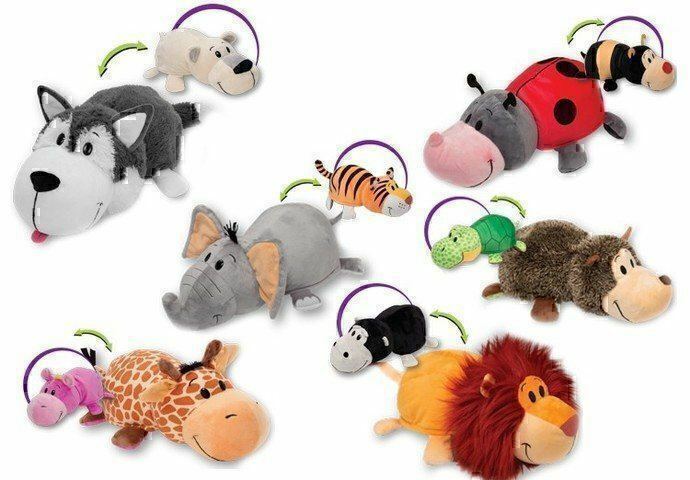 Each soft plush can be flipped to reveal a second animal e.g. 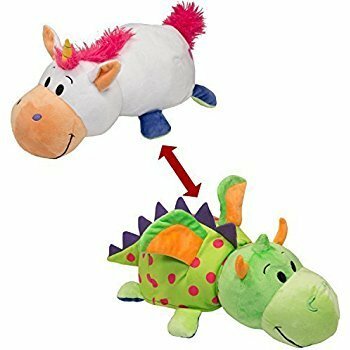 Giraffe and Hippo, Elephant and Tiger, or Unicorn and Dragon. It’s safe and fun for ALL ages – you can get it for your toddler or school children. 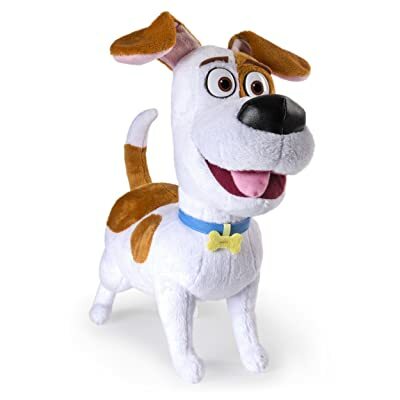 It’s easy to teach your kid how to make the flipping motion if he wants to play with the second stuffed animal. However, if you’re not satisfied with the product, the company offers a 30-day money back guarantee. Of course, there are plenty of age-appropriate toys for your child. But I find this category as versatile. I mean, even adults enjoy them. So, why not? But then again, it’s more than that. Did you know that stuffed animals also teach your kids some skills? Yes, they’re not just there as security items to help lull them to sleep and in truth, they have more perks in comparison to other stuff you find in the toy section. Remember that stage when they start to feel separation anxiety? These stuffed animals can help them cope with it. They won’t be hesitant to try new things and explore new places because they "have someone with them". We often think it’s cute when they start talking to their stuffed ‘friends.’ They give them names, tell them about their day, or even do a role play. 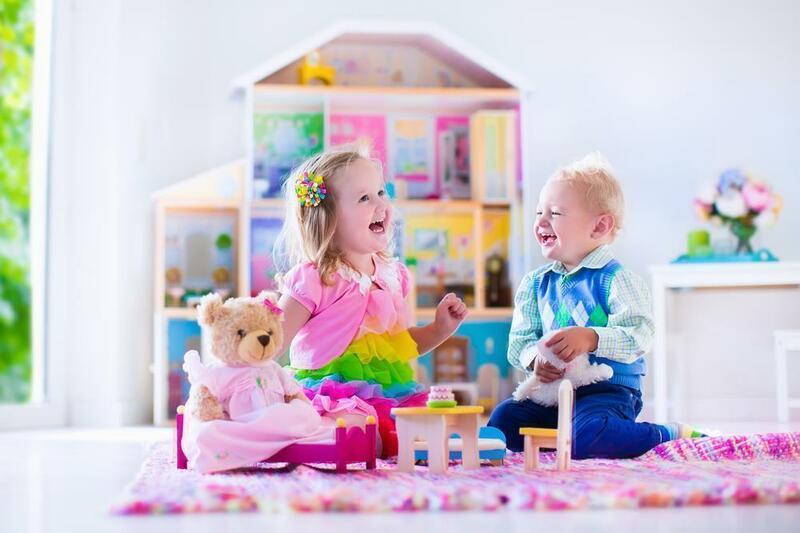 These stuffed animals will eventually become their first friends – they will have tea parties, go together on beach trips or just share stories. Bottom line, they will no longer be scared in dealing with other kids or adults. Plus, it will aid in getting along with others. Ah, now there’s the question. With a dizzying array of stuffed toys at the mall, how can anyone choose? When you bring them to shop, your kids will likely end up with a handful of items which can be very expensive, to say the least. Isn’t that what we all want? It’s like having two toys for the price of one. And that’s pretty much like hitting the jackpot. As I have mentioned earlier, kids get bored with the same thing easily so a little surprise here, and there is a huge deal for them. 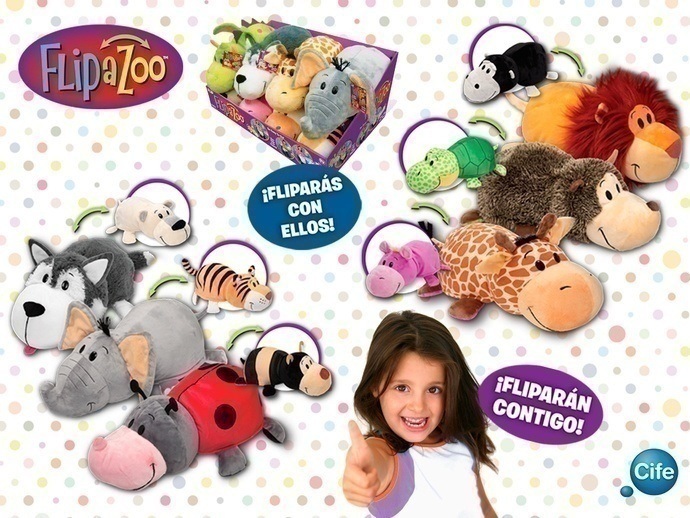 Flipazoo ensures that their toys are high-quality. Toddlers can be rough, but well from what I saw, it has withstood the test of aggressive play. Yes, please! I don’t want more items waiting for cleaning, the house is messy enough as it is. LOL! Okay, because it’s washable you wouldn’t have any problems cleaning it up. My boy likes using it as a pillow so yes, I often find drool or some stains on it. But as I said, it’s still one less thing to worry. I like bringing it to travels because Flipazoo doubles as a jumbo pillow which even I can use. It’s fluffy, so it’s comfortable to sleep on and doesn’t have bony structures or large buttons. And it’s huge too so it can accommodate your child when he has grown. I have a niece who just turned fifteen and came for a visit. She saw the toy and started cuddling with it. For the record, she asked permission from my little boy first. And she liked it. So it’s not limited to young kids alone, they can grow up with it. I always go for something that will last – anything that does otherwise is a huge deal-breaker for me. My toddler now has favorite things to bring when we travel – a robot, board book, and other little items. I don’t like some of them because they have parts which can fall off, or they may need reassembling, and that’s a big hassle. It far exceeded their expectations. Flipping can be fun for the kids. It’s snugly soft but durable all the same. Amazing quality from the stitches to the parts. This unisex stuffed toy is a great addition to your baby’s collection. It’s machine washable and looks adorable! It has exceptional quality and is very soft and snugly. Yes, if you’re an adult, and you love stuff like this, then go for it. It even looks nice when used as decoration. If you’ve seen the movie, then you’ll recognize this adorable character. It’s soft and cuddly and is pretty entertaining too! It’s a lot like adopting the real Max. There are small parts which may pose as choking hazards for those younger than 3. More options mean buying the rest of the toys in the collection. 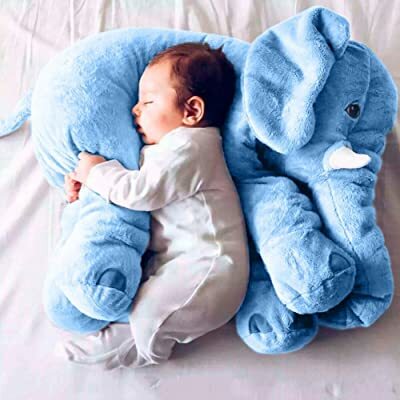 This adorable, high-quality plush animal is perfect for any ages – even babies. It’s skin-friendly which is an important consideration if your little one is on the sensitive side. As your child grows older, he may have preferences when it comes to shopping toys. However, there are few options where there’s more than 90% chance that he’ll love it. The Flipazoo isn’t just an awesome choice for anyone, but it’s pretty practical too considering you have two toys in one purchase. It’s perfect for traveling or just snuggling. A huge plus is its longevity – it’s durable enough to last for years and easy to clean too. Here’s another bonus: parents love it. Click here to know more about Flipazoo. Hi. My name is Nancy. I am a nurse by profession and a writer by passion and ever since I became a mother, I’ve become very active in sharing useful and important information about basically anything under the sun and a full-time mother to a 21-month old boy. Read more about me here. Thanks for sharing this wonderful information about stuff bedtime toys for kids.